RUSH: To the phones we go! Madison, Wisconsin. David, great to have with us on the EIB Network. How you doing, sir? CALLER: I’m doing great. How are you, Rush? CALLER: Hey, what really prompted me to call is listening to you right away, you were talking about having a Millenial call in and kind of getting a point of view. And it’s interesting, just like last night I had a really big argument with my brother. My brother was a Navy SEAL, served two tours in Iraq. He’s about six years older than I am. I’m 29 years old. He moved out to California and — really sad and depressingly — he has really turned into kind of your classic Californian where he is pro-amnesty, pro… I mean, just everything anti-conservative. RUSH: And he’s a SEAL? RUSH: He’s a rugged individual survivalist SEAL? CALLER: He used to be. Yes. I love my brother, and I have great respect for him and for what he did, but his attitude and thoughts on politics now is just depressing. He still thinks that Facebook ads bought by Russia influenced the election (chuckles), and I told him right away, I said… I won’t use his name on the air. (sigh) But I said, “Do you realize that the Facebook representatives went before Congress and said that most of them weren’t even done ’til after the election?” I’m sure you’re familiar with Madison, Wisconsin, one of the most liberal cities in the Midwest. RUSH: Yes, but we own it. RUSH: See, that’s the great thing: We own Madison, Wisconsin. The EIB Network dominates it and owns it. RUSH: So, yeah, we know all about it. 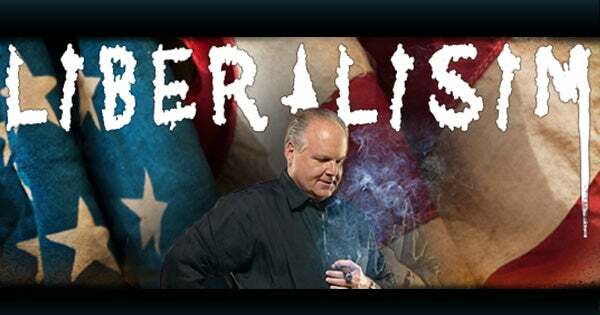 RUSH: You sounded as frustrated as we are! That’s why I stopped watching that stuff. RUSH: Your brother and now these friends of yours in Madison. CALLER: Yeah. It’s so frustrating. It’s just mind-numbing ignorance. (laughing) I just can’t even… Oh, it’s so frustrating. My wife is grabbing me ’cause I get so excited. RUSH: It is all of that, but it’s more than that. There are a whole lot of factors here. Probably predominantly the media they consume but there’s an existing… There has to be a prejudice and a bias going in in order for this stuff to act as confirmation for what they already believe. RUSH: Do you have any success persuading them? CALLER: (sigh) Not usually. And unfortunately my brother… It’s very interesting. Obviously, I know you’re aware. But when you argue with liberals, they start off with a couple usually distorted facts, and when you present them the real facts and how what they’re saying is wrong, eventually they turn to personal insult. RUSH: Right, exactly. It take 30 seconds when they call here. Okay, I gotta go. Would you like a new iPhone X? Yes or no fast. CALLER: Yes, that’d be wonderful. RUSH: Who is your carrier? RUSH: U.S. Cellular. Fine and dandy. You’ll have one. Hang on so we can get your address to send it to you. I’m giving ’em away today, folks. This Apple news? It’s full of it. RUSH: Nah, I didn’t mean to brush him off. We just ran out of time. I understand the frustration of dealing with friends, family members who don’t get it. He’s 29 years old. This is one of the things we wanted to find out, you know, attitudes of young people, things they’re facing out there. RUSH: Here’s John, another John, this in Houston. Great to have you, sir. Hello. CALLER: Thank you, Rush. Thanks for having me on the call today. I’m a Rush Baby. I’ve been listening to you since the early eighties. My fondest memories are with my dad and my grandpa driving around in the truck listening to you on the radio. RUSH: Thank you very much. I continue and remain gratified every time I hear about examples like this. CALLER: Well, I’ll get to the point. Snerdley asked me to give some comments earlier. I think your question earlier in the program today around Millennials or younger people — and I’m 37 years old, and I can tell you that I don’t know a single person that voted for Hillary Clinton. And I think some of these people had previous identified themselves as maybe Democrats or liberals. But if you start to talk about actually issues, substance, most people nowadays, they look at themselves — I think that are in my generation — and they’ll answer a substantive question in a very conservative way so I think more people are becoming more and more conservative, not more liberal. RUSH: Do the vote that way, is that what you’re saying, or is this the way they talk and live? CALLER: I think it’s both. And part of the reason is, you’ve got a liberal media and you’ve got society in a broader context, I think, that are making identity politics so divisive that people looked at it and say, “Hey, look, I’m not racist. I’m not bigoted. I’m not a homophobe. I’m not this; I’m not that. If that’s what the Democrat Party stands for, ‘count me out,” ’cause once you over-index on things and the political pendulum swings way, way, way far to the left, the natural reaction is for people to go to the right. That’s exactly what’s happening right now. 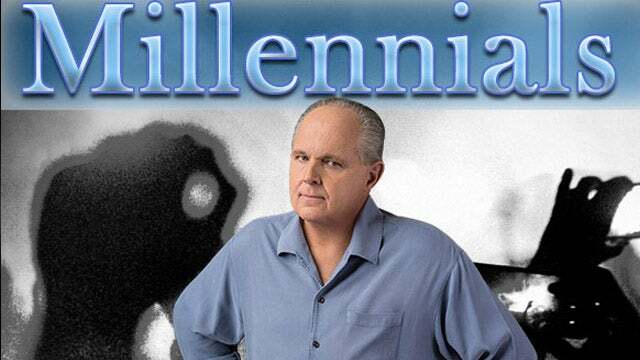 RUSH: Well, the Drive-By Media reports just the opposite, that more and more people are succumbing to identity politics, more and more people are becoming aware of their various victim or minority status and are signing on to the Democrat Party as a result. I’m like you. I don’t know anybody who voted for Hillary. But a lot of people did, and I’ll bet you can run into a lot of people who tell you they don’t know anybody who voted for Trump. But a lot of people did. It just goes to show how Balkanized we are. We don’t just disagree politically. We distance ourselves from each other politically.